Joe has successfully created an environment where the focus is entirely on you. Here, you get the dedicated time and attention that you need and deserve all of the time, every time. This is not the gym, it’s much more than that. No mirrors, no heavy intimidating weights and no overcrowded workout areas. Come and enjoy the benefits of working with a highly skilled expert staff in a bright, clean atmosphere. You deserve this. Joe Green, the expert people trust, the one doctors refer to. We are not the gym. In fact we are much more than that and it shows from the moment you arrive. We offer an environment where the focus is entirely on you. You get the dedicated time and attention that you need and deserve all of the time, every time. The consultation is more than just a meeting and evaluation of your health and fitness needs. This is your chance to see and feel what it's like to be in an atmosphere where it's all about you. I personally meet with each and every person and I am really looking forward to meeting with you next. We have a list of frequently asked questions complete with an answer to each. We invite you to contact us with any additional questions that you might have. We love what we do so please feel free to be in touch. Click here to send your email now. Don't take our word for it, hear what others are saying about Fit For You! 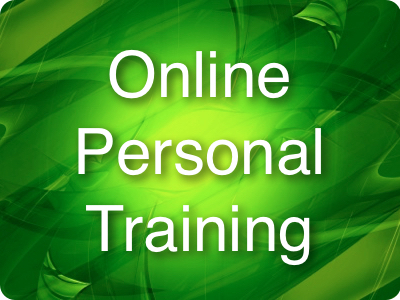 Fit For You is offering online personal training. If you have an account, just log on. Need an Account? Click HERE to register.